X-Men Origins: Wolverine is releasing next year and Hugh Jackman has gone on record saying that this may be the final Wolverine film. WTF!?! Say it aint so, Jackman! Hugh Jackman spoke with Moviehole and stated that the fate of Wolverine lies in the hands of all the fans. Jackman said, "If it’s clear to us on May second or third that that’s gone, then I’ll walk away happily." Jackman's statements may seem shocking considering the actor has gone on record in the past and present that he feels there still more to tell of cigar smoking mutant. Jackman continued to flush out his statements by explaining his reasoning. "I’m not going to flog something – or flog a dead horse, or try and make movies that people don’t really want to go and see. I have no interest in that. Even no matter how much I love the character. So there are many prerequisites," Jackman added. 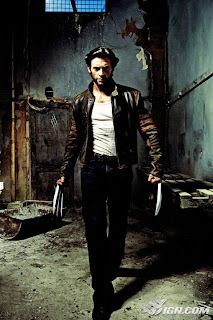 Hugh Jackman has been enormously popular as Wolverine and it is very doubtful that X-Men Origins: Wolverine will be anything less than a blockbuster, so I wouldn't fret too much, but the possibility is there for failure. Will fans of the X-Men series have forgiven FOX for the last terrible excuse for a X-Men film? At least Rattner isn't directing, so that bodes well. Betting that Wolverine does well, what does Jackman have in mind for Logan next? Jackman wasn't coy about his interest in a particular story arc in the comics. Jackman said, "The most intriguing thing to me was the Japan story. I love the Japan story." Jackman spoke how he has wanted to do the Japan story in the past, but felt that it deserved it's own feature, but before it was made Wolverine's origin needed to be flushed out. “How can you do that before you explain his origins?” said Jackman. “If we tried to mix the origin and Japan together, it wouldn’t do justice to either. 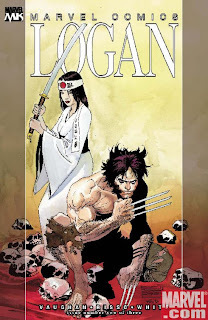 So you can tell by the answer where I’d like it to go.” So, as long as X-Men Origins: Wolverine does well, a Wolverine in Japan mixing it up with samurai or with triads isn't too far off!